Prosper Wealth Management, LLC, is a Registered Investment Advisory firm based in Wausau, Wisconsin. We offer the following products and services: financial planning, retirement income strategies, wealth accumulation strategies, asset protection, IRA, Roth IRA's, college-savings plans, annuities, life insurance, tax minimization strategies, long-term care planning, and IRA and 401(k) rollovers. At an early age, Tony had already decided he wanted to pursue a career in finance. Part of this decision stemmed from the forethought of his grandfather, Vincent “Bimp” Baker, a prize-winning cattle farmer from Edmund, Wisconsin. He left Tony a legacy to assist with his college education. During his childhood, Tony watched the growth of that account. This is where his interest in the stock market and finance began. That first investment from “Grandpa Baker” paid the college expenses for both Tony and his brother, Geof. And it ultimately determined Tony’s career and passion for finance. Tony graduated from Michigan Technological University with a degree in Finance. Upon graduation he returned to the area where he was raised in northern Wisconsin to work with a local real estate investment firm. Tony has since accrued a wide variety of financial experiences including those as a national wholesaler and as a financial analyst for a non-profit healthcare company. 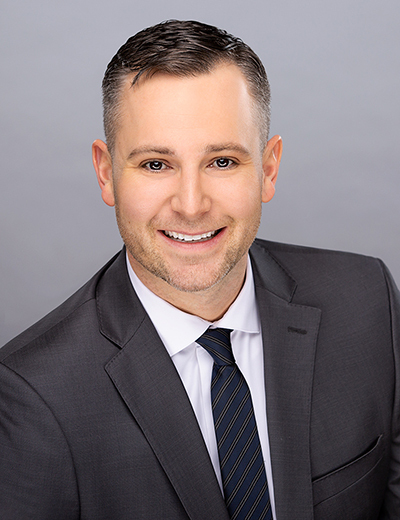 He continued working and learning with various financial institutions though his passion was to assist one-on-one with clients on their individual and family investment needs. Recently, Tony was honored when recognized as a 2016 Women’s Choice Financial Advisor for providing quality service to women. The award is based on rigorous research and evaluation applying 17 objective criteria. Tony is CEO and Financial Advisor of Prosper Wealth Management and holds his Series 7, 65, and Life and Health Insurance licenses. He and his wife, Allison live in Wausau, Wisconsin with their two children. Tony loves being a dad. He is often found building forts, playing superheroes, or pretending he is a prince for his little princess. Tony and his wife treasure the time they can spend with their two young children and black labs. He also enjoys exploring and enjoying the outdoors, especially boating on a little lake in northern Wisconsin. Tony is an avid Packer fan with Aaron Rodgers being his all-time favorite player. He is crossing his fingers that he will get to meet him in person someday. Allison Liddle is a highly motivated, organized, and educated woman. An entrepreneur that believes that as John Maxwell says, “everything rises and falls on leadership.” Her passion is help others grow and thrive personally and professionally. Allison graduated with honors from Michigan Technological University with a degree in Scientific and Technical Communications with a concentration in Engineering. Upon graduation, Allison returned to northern Wisconsin and started her own marketing and consulting firm. Allison’s vast experience includes managing a multi-million dollar marketing campaign for a resort/condominium, establishing internal systems for local businesses to improve operations, and implementing marketing campaigns for a variety of nonprofits, realtors, state and local contractors. Allison has been instrumental in Prosper Wealth Management receiving national media coverage in Forbes, USA Today, Women’s Choice Financial Advisor Award Winner, CEO World, and many other media outlets. Allison is a keynote speaker and bestselling author of two books, “Life Under Construction: Designing a Life You Love” and “The Art of Imperfect Action: All Success Comes From Daring to Begin.” She is a John Maxwell Team Certified Speaker, Trainer, and Coach and recently traveled over the equator with John Maxwell to conduct transformational leadership change in Paraguay. She is passionate about leadership development and personal growth and gets excited about the opportunity to share her experiences with others. Allison is most proud of her title as mom. In her free time her favorite people to spend time with are her husband, Tony and two young children. She’s often found exploring children’s museums and parks with her children and her younger sister, Anika. Allison enjoys working out, and practicing yoga. She is always reading and learning something new.